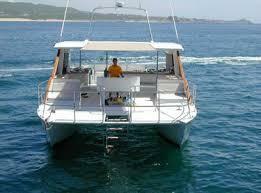 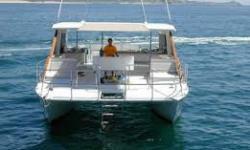 Rissalena Cruises owned and operated by Pronatur Pro Tours in Cabo San Lucas, Baja California, Mexico offers spectacular Cruises aboard the custom designed 37 foot power catamaran with excellent amenities. 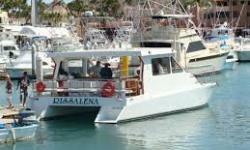 Their legendary breakfast Cruises includes an exotic breakfast as daylight grows and you head out into Cabo bay, it's the perfect way to start the day, they also do a romantic sunset private cruise with that someone special where the champagne flows and Mexican Botanas tipicos delight the palate, it's the perfect setting to pop the question. 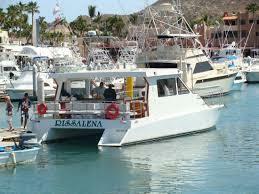 Rissalena Cruises also offer sunset Cruises, whale watching Cruises, snorkeling Cruises and sightseeing Cruises, they have something for everyone.